'Red tape' is such a common business trope, it's almost not taken seriously. Like receiving inane memos or dreading Mondays, enterprise bureaucracy is seen as unavoidable. But, red tape can't be treated with resignation or indifference. Red tape can literally tie an enterprise up and prevent it from innovating. For companies hoping to stay competitive into the future, that's a problem. More than ever before, technology is racing ahead and the enterprise is scrambling in pursuit. Companies who innovate and adapt will win preference in the market and be positioned as industry leaders. Companies who don't, will be on borrowed time. If the answer is innovation, it raises a compelling follow-up question: how? As many companies can attest, taking innovation-the-concept and turning it into innovation-the-action is difficult. The enterprise needs organizational innovation: a meaningful shift in culture, process, and goals. Being unified on innovation is critical to its success. If the enterprise innovators are zigging and the decision-makers are zagging (or, more likely, gripping tightly to the status quo), nothing will get accomplished. Becoming unified often takes a shift in culture. Innovation calls for an environment where ideas can breathe, failure is viewed as a step towards success, and processes are in place for acting on great ideas. For a majority of companies, that attitude is foreign and the messaging from management only reinforces the 'way things have always been done.' The problem, of course, is self-evident. Things don't stay the same. If the prevailing enterprise culture won't let go of the past, it risks becoming it. Red tape doesn't pop up overnight. Corporate bureaucracy forms and hardens over years of enterprise business. Procedure is necessary. Excessively slow, complicated, and rigid procedure is not. Adopting a culture of innovation and the processes that come along with it, can help the enterprise untangle itself from the years of red tape that has been created. With obstacles moved aside, innovation can truly take hold and great ideas can start to move closer to reality. While red tape can feel familiar and the procedures in place feel comfortable, the enterprise needs to move away from cumbersome bureaucracy if it hopes to improve and progress. Ok, it's spelled 'achieve.' But, in most enterprise organizations, the process stops at 'uhhh...'. Innovation is left hanging in the wind, and problems go unsolved for years. That's the downside of bureaucracy. What's intended as a way to stay organized and install order, ends up stopping progress in its tracks. With strong organizational innovation, red tape loses its stickiness and uhhhh can turn into achieve. What 'achievement' looks like depends entirely on the unique and specific challenges facing the enterprise. But, implementing a strong culture of innovation will help the enterprise find answers quickly and set it up for a bright future. 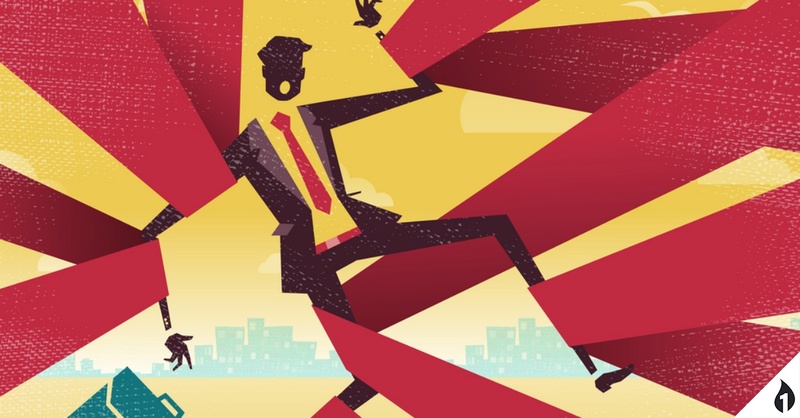 Nobody likes red tape, but it's an inevitability in corporate culture. Steering the enterprise takes an untold number of machinations. But, if that bureaucracy goes unchallenged, the enterprise will stand in its own way.